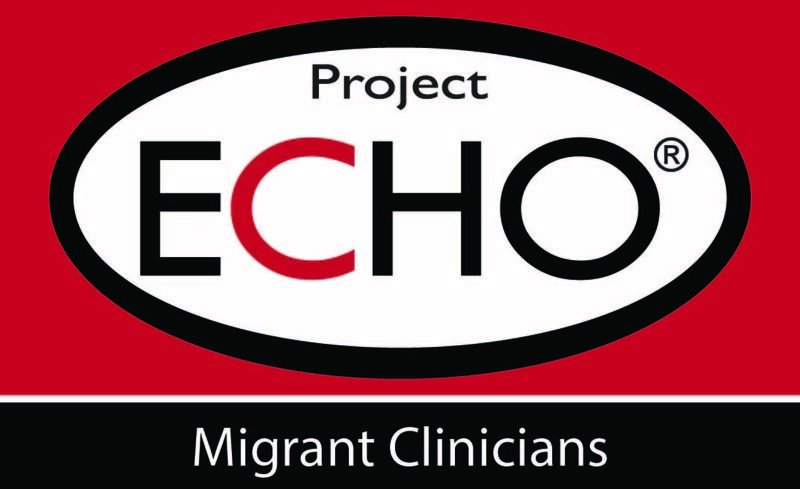 Migrant Clinicians Network has spearheaded a number of ECHO projects to best utilize limited resources to effectively address the health needs of populations in rural and underserved areas, in areas where both health care accessibility and specialty care for patients, and educational opportunities and networking for clinicians are limited. Project ECHO is an innovative learning and knowledge sharing platform developed by the University of New Mexico Project ECHO. Through teleconferencing, telehealth technology, and clinical management tools, Project ECHO provides training, guidance, mentoring, and networking for clinicians in underserved areas, to help build speciality care capacity in the primary care model. Case-based learning: Using case studies, expert specialists lead clinicians through cases they may encounter regarding the health concern at hand. Knowledge networks: Regularly scheduled teleclinics, led by expert specialists and community partners, provide opportunities for ongoing dialogue and troubleshooting over time. Learning loops: Clinicians encountering similar situations in the exam room can share their best practices and co-manage diverse patients in real world situations and practice. 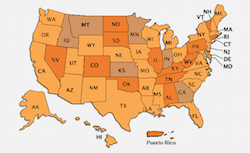 Clinicians, researchers, and public health experts are producing important data on diabetes in the US and uncovering promising strategies to confront the chronic concern that plagues almost ten percent of the population. Meanwhile, community health workers, or promotores de salud, are actively engaging with people struggling to get their diabetes and hypertension under control. As the frontline workers and active members of the community, CHWs often provide respectful, culturally competent education and support directly to patients. Consequently, CHWs play a key role in empowering communities to shift habits to support better diabetes control. MCN’s most recent Project ECHO, a six-month endeavor sponsored by the Health Resources and Services Administration (HRSA) sought to connect the two groups -- top-line experts and researchers and on-the-ground CHWs -- to bring about better, faster outcomes for the nation’s millions of people suffering from diabetes and/or hypertension by improving their skills. The 2018 virtual peer learning series, with 27 participants representing eight community health centers, was entirely in Spanish and invitation-only based on an application process targeting CHWs from centers with patient populations struggling to lower their hemoglobin A1C and manage chronic diseases. The series was facilitated by Alma Galván, MHC, Senior Program Manager for Migrant Clinicians Network. Here is a brief summary of the series’ topics and presenters. This MCN Project ECHO addressed the Zika virus at the primary care level in Puerto Rico, where clinicians throughout the island are grappling with how to best manage patients exposed to and diagnosed with the now-widespread virus. In close partnership with the Asociación de Salud Primaria de Puerto Rico, MCN partnered with seven clinics throughout the island to address ZIKA. Clinicians met once a month to learn how the virus affected nearby communities and how clinicians are addressing problems in diagnosis and treatment. For information, please contact Deliana Garcia, MA at dgarcia@migrantclinican.org. Visit the Asociación de Salud Primaria de Puerto Rico/Puerto Rico Primary Care Association at www.saludprimariapr.org. Learn about Project ECHO at the University of New Mexico’s ECHO page at echo.unm.edu.